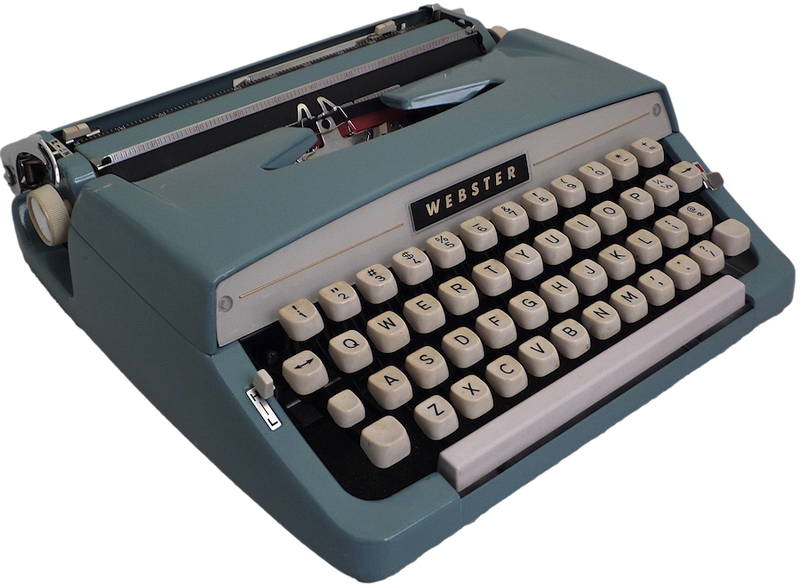 One of the most common typewriters on eBay is the Webster.1 Manufactured by Brother Industries in Japan, it was sold at a variety of discount chains, including Gibson’s, White Front and Save Co. (It is sometimes reported that this machine was sold by the Webster department store chain, but I’ve found no evidence of such a company. 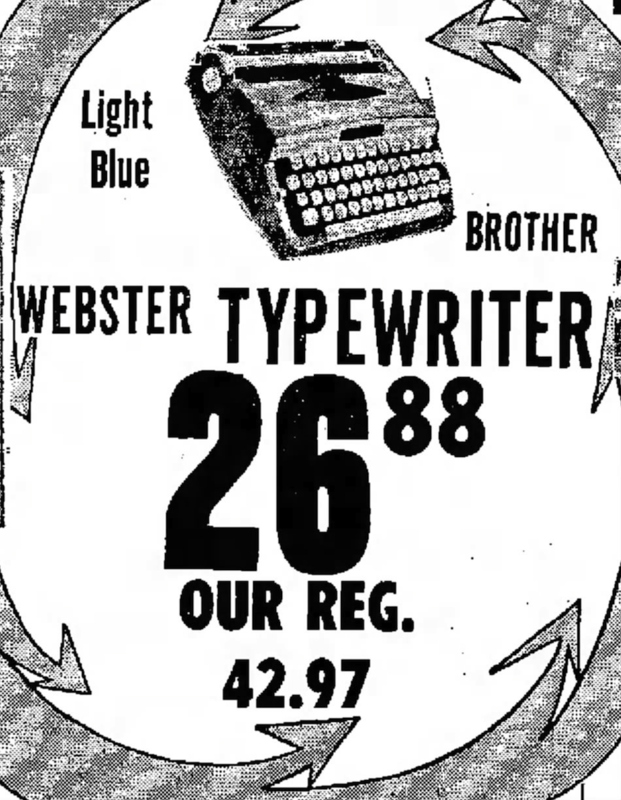 )2 Based on advertisements, the Webster was sold from the late 1960s through the 1970s, and more than one model of Brother typewriter bore that mark. The Webster is neither unique nor rare, and Brother offered similar machines under different labels. Montgomery Ward sold the Signature; K-Mart the Deluxe; W.C. Grants the Bradford; S. S. Kresge & Company (K-Mart’s original parent company) the Wegefield; Eaton the Majestic; and Sears, well, the Sears. Brother-made machines were also sold under the Remington and Underwood labels, and under Brother’s own marks, including Webster, Wizard Truetype and Brother itself. The reason for this variety is simple: most stores wanted their own label, either to thwart comparison shopping or simply to build brand recognition. It is not difficult to find one Brother model under several labels. Are not all of these the same machine? To note, in 1991 Walter Moody was charged with the crime — see here — and then convicted — see here. NB: This is only a sampling. Not every newspaper has been digitally archived, nor does every advertisement appear in searches. Lubbock Avalanche-Journal – Lubbock, Texas – Jan. 1, 1970. 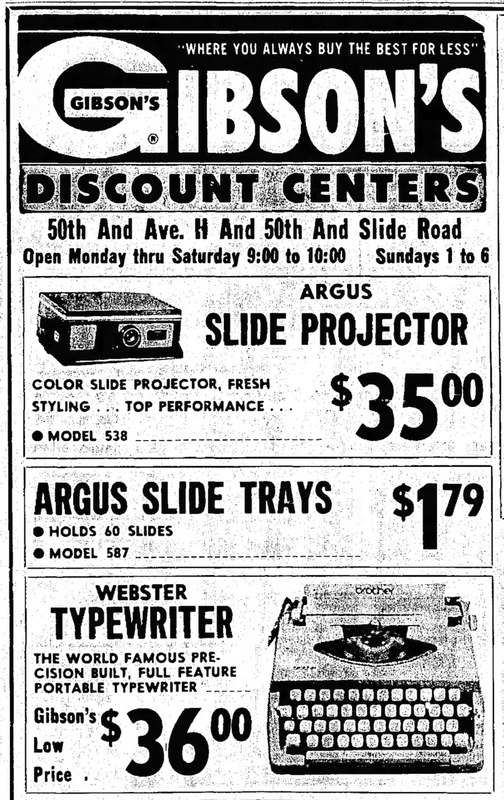 Abilene Reporter-News – Abilene, Texas – March, 5, 1970. The Fresno Bee The Republican – Fresno, California – August 19, 1970. Placed by the retailer White Front. The Fresno Bee The Republican – Fresno, California – September 17, 1970. Abilene Reporter-News – Abilene, Texas – October 14, 1971. 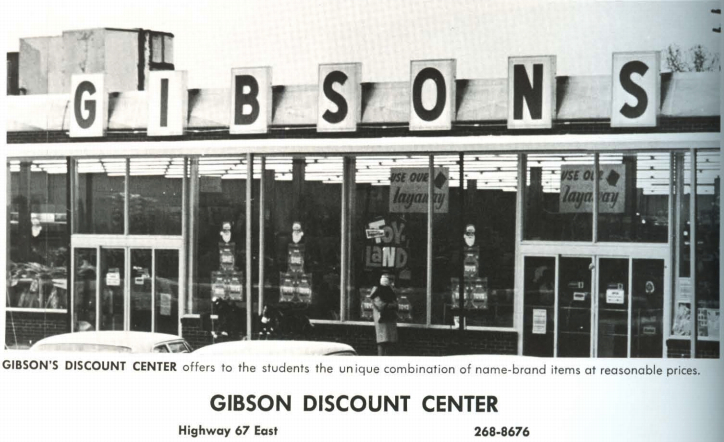 Placed by Gibson’s. 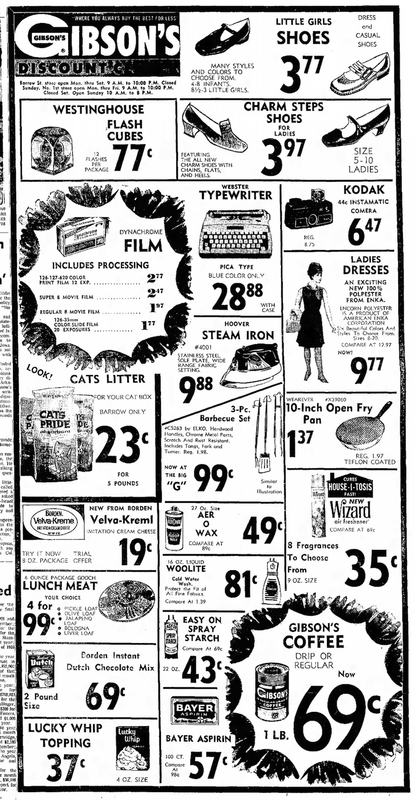 Tucson Daily Citizen – Tucson, Arizona – March 20, 1974. Placed by Save Co. The more expensive Remington 333, and the nearly identical, but cheaper, XL-500. I have two Websters in my collection. One has a 50s dashboard faceplate, the other a metallic stick-on label. Based on what I’ve seen in advertisements, both for the Webster and other like models, the dashboard style is the original. Brother may have switched to the other style of label so that the machines could more easily be rebranded, but that is only a guess. 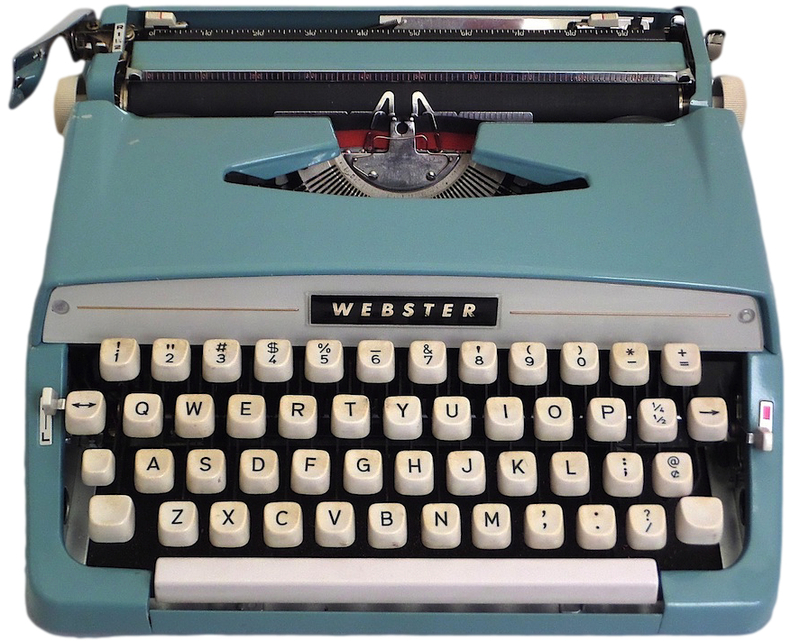 My “dashboard”-style Webster has a serial number of A5623351, which according to the typewriter database, dates the machine to 1965 (see my listing here). I’ll have to locate the other in storage to grab the serial number. 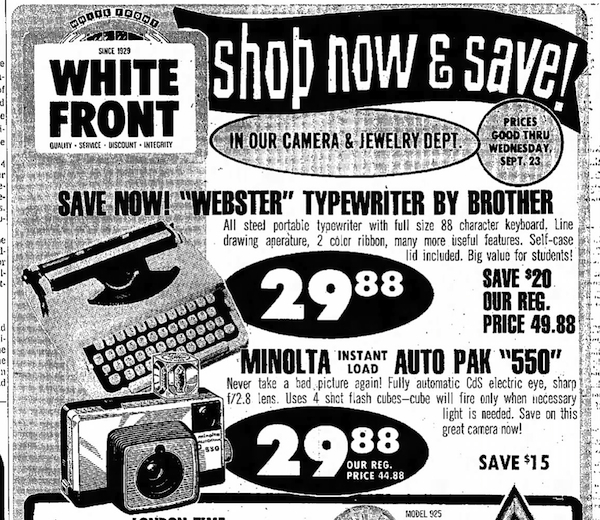 1986: Manual typewriters for "writers and old ladies"
Wow, White Front looks really googie, especially with those cars parked in front of it. 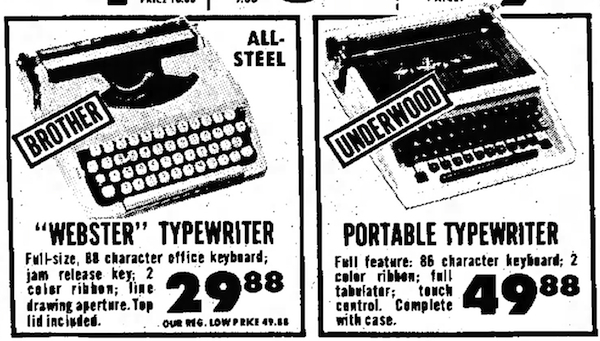 These are good little typewriters and I can’t believe how cheap they were. Indeed. I know there is a movement to preserve such buildings, but often that is challenging, especially if economics dictates otherwise. And I second your view on the machines — they are amazing typewriters. Anyone looking to acquire a “vintage” machine would do well to buy one. I typed about 10,000 words of my (incomplete) Nano novel on my Remington 666. 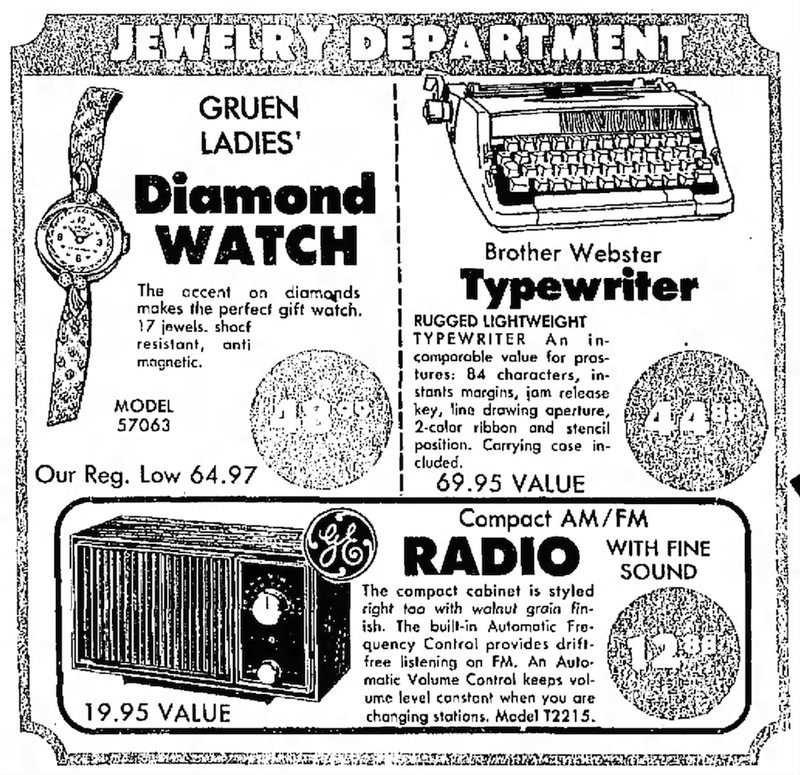 The Wizard name was used by Western Auto department stores to sell various appliances, including typewriters. I have a 1972 Wizard Automatic, and it is an incredible machine! Yes, I recall that now. I checked out your blog and found the machine (http://royaltypewriters.blogspot.com/2013/12/merry-christmas.html?q=wizard). Very nice. Does the instruction booklet include Western Auto’s logo? 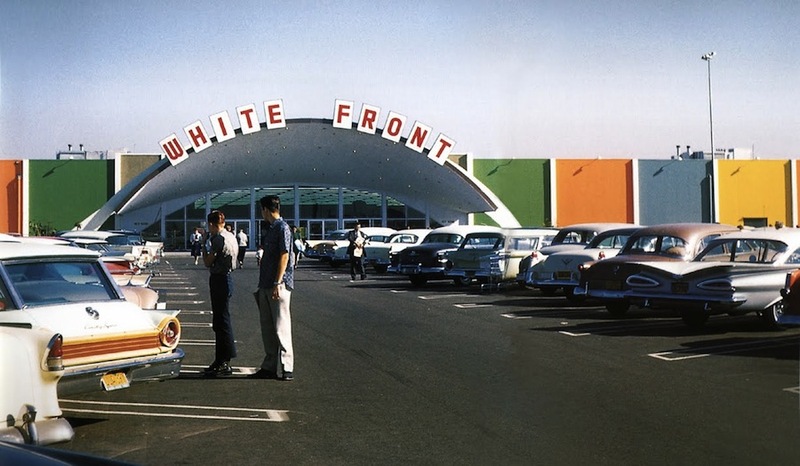 It does not include the logo, but advertisements cite that it was made for Western Auto. am also wondering if you can ink the existing ribbon somehow. someone told me to use WD40 on it which I did but it didn’t last long. A lot of the Websters, bought new, came with a new dictionary, hence the name. What is the source for this information? Never have seen an advertisement mentioning this. Makes sense though.